Is problem perspiration on your radar? If so you’re not alone, as here at The Grooming Guide we see countless guys (and girls) that have suffer from hyperhidrosis. How this impacts on their self-confidence, both in the workplace and elsewhere is often hard to hear, and advice on treatment options is also hard to give. Sure toxins like Botox can disable the sweat glands temporarily, but multiple bouts prove costly, and operations may be effective but they are also invasive and never come without risk. Cue Miradry! The brainchild of Miramar Labs, a medical device company which is dedicated to addressing medical conditions for which significant, next generation solutions do not currently exist. 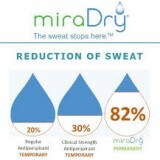 Miradry is a permanent solution for eliminating sweat and also the odour that it produces, and even better it doesn’t involve any surgical incisions or cuts. The treatment lasts typically between 90 to 120 minutes, has little downtime and is also the only FDA-approved non-invasive treatment. 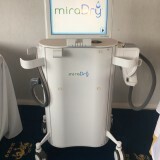 Miradry works by delivering precisely controlled electromagnetic energy to the underarm area, eliminating over 80% of the underarm sweat glands and with results noticeable from just two days after the procedure. The procedure is also relatively pain free as it is performed under local anaesthesia. 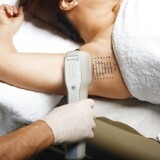 Usually all that is felt is mild pressure and pulling on the skin, alongside sensations of warmth. Mild swelling can be expected for up to a week after the treatment, however after this, the treatment is complete! 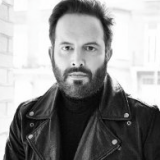 Do you have to constantly use ant-perspirant to ensure its effectiveness? Does embarrassing underarm sweat outbreaks or stained clothing interfere with your daily life? 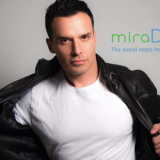 If so why not investigate Miradry….it could be time to make a healthy AND confident choice.